Muslims often complain of "misconceptions" about their religion, yet few seem to know all that much about the true history of Islam and its founder, Muhammad. As a result, the biggest misconceptions about Islam are often those propagated by Muslims themselves. Here, we refute the contemporary mythology of Muhammad by referring to the earliest and most reliable Muslim historians, who based their writings on those who actually knew their revered prophet. The historical compilations of Ibn Ishaq (compiled by Ibn Hisham), al-Tabari, Bukhari and Sahih Muslim are greatly respected in the Muslim academic community as a priceless source of biographical information and the details of Islam's origin and rise to power. These writings also provide the context for the Quran. The Hadith (traditions), Sira (biography of Muhammad) and the Quran provide the true Islamic counterpart to the Christian Bible and Jewish Torah. The Quran is simply the purported words of Allah arranged in no particular order. It makes little sense outside of the context provided by the other two sources. Articles posted here will occasionally be revised, and new ones will be added. Readers not familiar with the life of Muhammad may want to approach these myths through our brief article on the history of his life: The Life of Muhammad: An Inconvenient Truth. 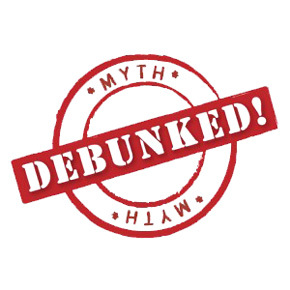 It has been updated to include most of the links found below, and it will help place these debunked myths into historical context - as it was written from the Muslim point of view. David Wood, Brigitte Gabriel, Robert Spencer, Pamela Geller, Nabeel Qureshi, Sam Shamoun, Ingrid Carlqvist, Anke van der Meersch (Miss Belgium 1991, 6th Miss Universe 1992, lawyer / politician) Usama Dakdok. Michael El Masry spread knowledge. Are God and Allah one and the same ? Qur´an 3:54, 7:99, 8:30, Allah is the greatest deceiver. . Revelation, 12:9 And the Devil deceive them. Qur´an 10:37, Allah is the Lord of the world. 2 Corin. 4:3-4 Satan is the god of this world. Qur´an,59:23, #10 name of Allah the most Proud. Isaiah 14:12-15, Satan was cast out of heaven because of his pride. Qur´an 3:156 7:158,15:23 ,57:2, #61 name the Destroyer, ! Corinthians,10:10 Satan is The Destroyer. Qur´an 13:9, #78 name The Most High . Isaiah 14:14 Satan will be like the most high. Qur´an, 8:12, I will cast terror unto the disbelieve and cut off their head and all finger tips. Ezekiel 28:19, thou shall be a terror and never shalt thou be any more. Bukhari, 4:52:220, I have been made victorious with terror. 1 John 3:8 He that committeth sin is of the devil, the Son of God was manifested that he might destroy the works of the devil. Qur´an, 2:191 And kill them wherever you find them. Exodus 20:13 Thou shalt not kill. Qur´an 9:14 Find them and Allah will chastise them at your hands. John 8:14 You are of your father the devil lust of your father you will do he was a murderer from the beginning and abide not in the truth because there is no truth in him when he speak a lie he speak of his own for he is a liar and the father of it. Qur´an 47:4, when you meet disbeliever smite their necks until you have kill and wounded many of them . Revelation 20:4 And I saw the Souls of them hat were beheaded for the witness of Jesus and for the word of God. for they did not worship the beast and they reigned with Christ a thousand years. Revelation 21:8 The fearful ,unbelieving, abominable, murderers, whoremongers, sorcerers , and idolaters, and liars shall burn in the lake of fire fore ever and ever.